It’s nearly a lost calling, like a shoe repair shop or a pen-and-stationery store hanging on in a world otherwise dominated by Apple and Wal-Mart. A patient craft that is difficult to master in an age of instant gratification and performance-enhancing drugs. The confounding knuckler, like the hidden ball trick or stealing home, is almost gone from baseball. This pitch, delivered at a velocity some 20-30 miles per hour slower than standard-setting fastball, flutters and floats in on the batter. If swung on and missed, he’ll look ridiculous, if he connects he could hit it into the next time zone. America’s oldest professional team sport may be losing this eccentric part of its legacy, but not many players and managers are mourning the near demise of the knuckleball. The pitch infuriates many habit-obsessed hitters and knuckleball throwers usually require special coaches and catchers. So in celebration of baseball’s opening week, let’s take a look at the recent DVD release of Ricki Stern and Anne Sundberg’s winsome 2012 documentary on the small and misunderstood cult of the knuckleball, referred to by non-believers as “fraudulent” or “a freak pitch.” It’s a celebration of non-conformity and persistent humility now fleshed out with almost two hours of featurettes. As a fan of my hometown Boston Red Sox, I got to see one of the filmmakers’ two primary subjects up close. 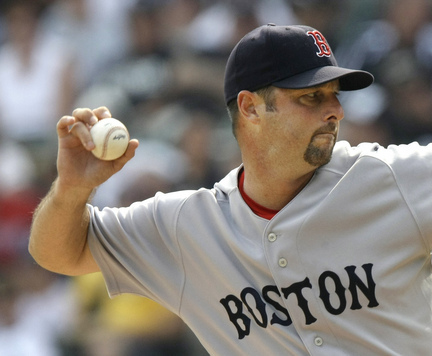 Tim Wakefield started out as a first baseman in the Pittsburgh Pirates organization but developed the knuckleball pitch after being told he would likely never make the Major Leagues as a position player. After a sensational first season with the Pirates, the knuckleball magic abandoned him (walking ten men in a game at one point) and he was cut loose, surfacing next year in Boston for a 17-year career where fans would become intimately familiar with fickle fortunes of one who depends on such an unusual skill. Wakefield was 45 years old and already a member of two World Series champion Red Sox teams when seen here playing in his last year; much of the focus here is on his protracted efforts to secure his 200th career win before the season ends. The only other current knuckleballer, the much younger R.A. Dickey of the New York Mets, is also profiled and the usual slings and arrows of outrageous fortune that come with his craft are compounded with a health issue that threatens his livelihood. The filmmakers cut back and forth between these parallel tracks during the 2011 season, often blending in the players’ personal stories and putting the lie to the easy notion that all pro players are spoiled and overpaid. Dickey, for instance, bounced around the minors for a long time making $1800 a month (summers only) and sometimes moving his young family two or three times a year, trying to keep the faith that his big-league dream would pay off in the end. On the verge of making it to “The Show”, a medical review found a congenital anomaly in Dickey’s pitching elbow, but in a gutsy move he took a drastically reduced contract offer instead of cashing in a million-dollar insurance policy. Elsewhere, Stern and Sundberg review of a bit of the knuckleball’s mystery history (no one’s sure who started it and it’s only had 70 or 80 true practitioners in the last century plus) and emphasizing its true outsider status: Wakefield unpretentiously declares that a knuckler is “on a little island by yourself.” Never has that been truer than in the 2003 American League playoffs. Wakefield had dominated the Red Sox’ age-old rivals, the New York Yankees, in two of the series’ previous games and would have been the hero had the Sox won and gone on to the World Series with a good chance to win it for the first time since World War I. But he was called in from the bullpen late in the deciding seventh game because the Sox manager had left their starting pitcher in too long, allowing the Yankees to tie the game. When Wake gave up a game-winning home run, it was one of the most ignominious defeats in the team’s history and the film makes the viewer live the pain of an athlete (and a person) who has quietly done all that’s been asked of him, including being put into an untenable position. When the Red Sox went on to win a championship the next year they had to beat the Yankees in another epic 7-game series (winning four in a row after losing the first three)along the way. Wakefield played a crucial role in the second of those victories, the winning pitcher in a six-hour game that helped pave the way for Boston’s first World Series win in 86 years (you’re welcome!). Tim’s redemption was almost biblical in it’s serendipity, though the directors curiously underplay it (unlike me). Tim Wakefield has the Yankees “turning Japanese” as they try in vain to fathom the elliptical flight path of an in-form knuckleball during the 2003 playoffs while the Boston fans eat it up. The knuckleball pitch, being both unpredictable and easy on the arm, destines these pitchers to be used either too often or too seldom or treated unfairly: being shuttled between a starting role and the bullpen, being brought into games when the score is lopsided, dropped from playoff rosters. Little wonder that one of the more enjoyable parts of “Knuckleball!” is the get together of Wakefield and Dickey with two old-timer practitioners, Charlie Hough and the incomparable Phil Niekro. Hall of Famer Niekro won an amazing 318 games as a knuckleballer and pitched in the pros until the age of 48. The self-deprecating camaraderie of knuckleballers and the way this fraternity helps each other (Niekro tutored Wakfield who in turn offered advice to Dickey) will appeal to viewers jaded by the media over-hype that so often dominates sports coverage. Maybe it’s not surprising, given their built-in status as sporting underdogs, that many of these guys would be doing good works outside of their profession. Yankee knuckleballer Jim Bouton, best known for his classic expose bestseller “Ball Four”, was also a liberal activist who protested the South Africa’s apartheid government way back at the 1968 Summer Olympics. Both Wakefield and Phil Niekro are past winners of the Roberto Clemente Award, named after the Pirates’ superstar who lost his life in a plane crash on the way to delivering supplies to victims of the 1973 Nicaraguan earthquake. 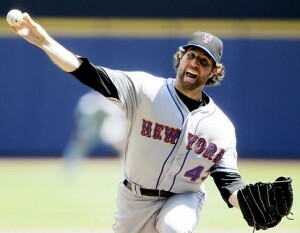 R.A. Dickey is involved in the Bombay Teen Challenge, which aids victims of overseas human trafficking. The good karma seems to be paying off for Dickey the way it did for Wakefield in 2004: the season after this doc was filmed R.A. won twenty games and became the first knuckleballer to win the Cy Young award as his league’s best pitcher.